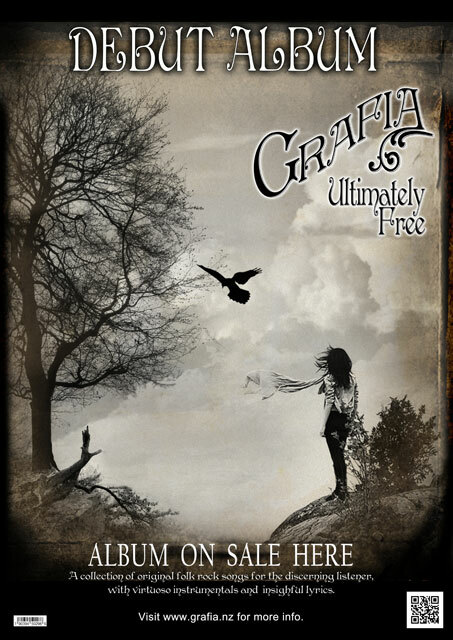 The Grafia Story - "Ultimately Free". Grafia is an acronym for "Get Right Away From It All". 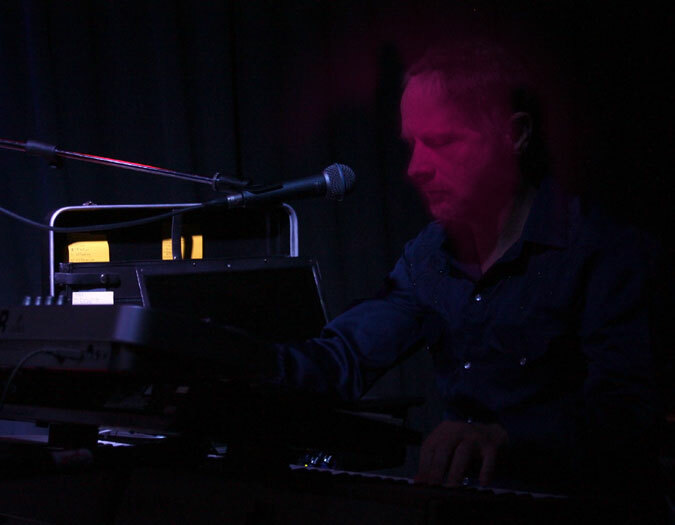 It is also a group of musicians who include the arts, photography/ video making and work collectively resulting in the band creating songs and performing shows with lighting background imagery and a sense of theatre. 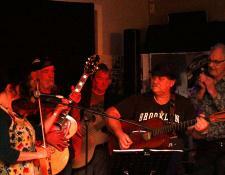 This group so far has had more than fifteen contributors and has recently made a first recording of original songs. It's six years since it started playing songs and organising performances, concerts and sharing gigs with other musicians / bands. The shared learning and evolving of the music has been substantial and the ability to play tunes that are both listenable to and exciting is growing and gaining considerable acclaim. This is due to the passion and application of key members of the band. 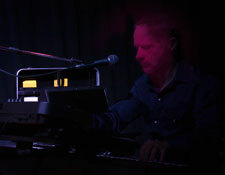 Keith Austin is the keyboard maestro, who also plays electric bass and piano accordian. Backing Keith is the newest member of our core trio, Dave Dewsnap playing electric lead and occasionally acoustic guitar. 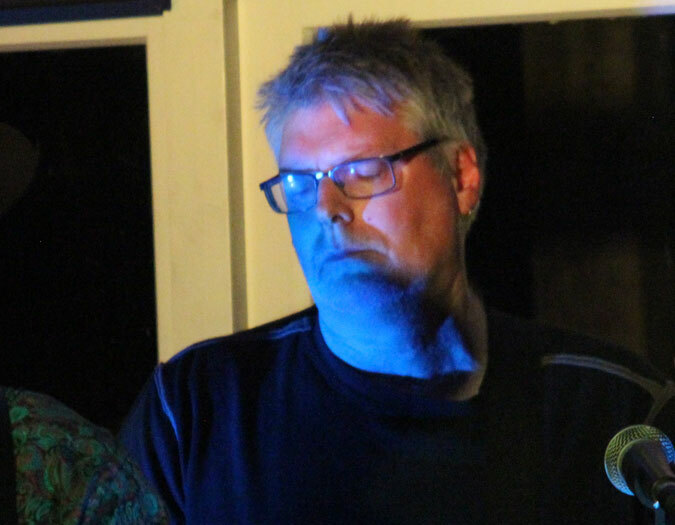 The third and founding member is Rob Maunsell, who has grown into his role as lead singer and rhythm guitarist. He also loves to play harmonica, tastefully, mostly at appropriate times, in songs that are blues or folk inspired. 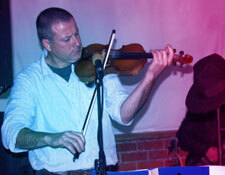 The band with Stephan Schulz playing violin and recorder has recorded a collection of original songs, written by Rob and arranged by the trio at their weekly practice sessions. Jordan Tredray, a Masterton native, played drums and percussion on the album but is unable to join the trio for their Sunday live sessions as he has a professional drum school to attend to. Titles of the songs on the album include "Think about it", a thought provoking boogie blues led by Keith on "acoustic" piano, "The Archivist", a folk ballad with memorable chorus, and "Quietly going blues", an ode to Rob's father, John, set in an extended slow-tempo blues form. 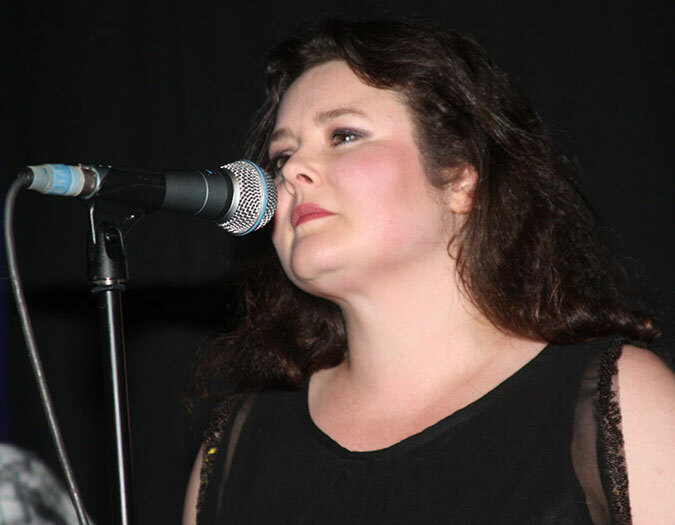 The recording was done at Keith's home studio with contributions by friends including Lenny Te Whare, Clare Christian, Stefan Brown and Jacq Knox. 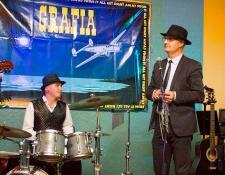 Many of the performances Grafia has organised over the last six years have included other local musicians and bands. 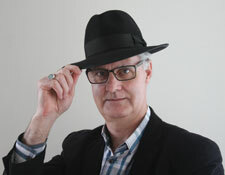 Another essential contributor is their artist, photographer, video maker, A J Hunter, who covers the gamut of artistic needs from poster design, photography, video imagery, screen presentations and website development. Grafia's music blends an inspiring palate of musical colours and styles that appeal to many and varied tastes. Thanks to Keith Marshall and his team at The Lake House the band has enjoyed an extended season of regular shows fortnightly to monthly for the last twelve months and this will continue into the foreseeable future. It's a lovely atmospheric venue offering great food and warm-hearted service.